Jake Macholtz is chief executive officer of InEight, with executive oversight responsibilities for InEight’s U.S. and global operations. Jake joined InEight as CEO in 2016, bringing a wide array of knowledge, senior leadership and overall experience in best-in-class technologies and operations processes from the engineering and construction industries. Before joining InEight, Jake held a number of technology and operational leadership roles at Kiewit, an $8.6 billion construction and engineering giant in North America and Australia. 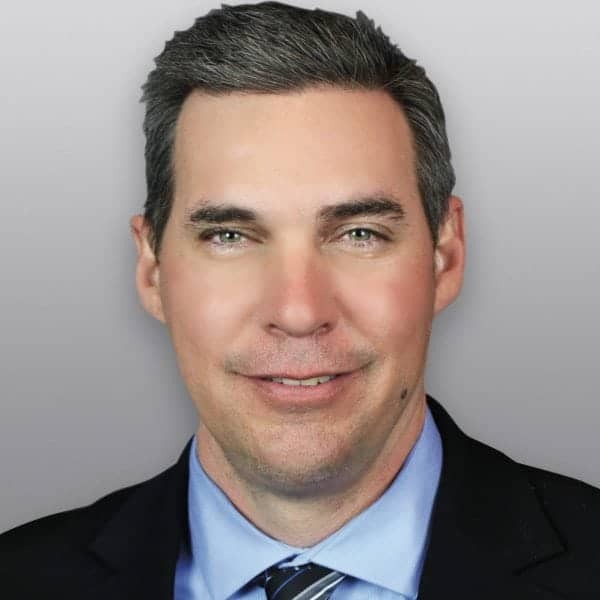 Most recently, he was vice president of Kiewit Technology Group (KTG), responsible for managing all facets of Kiewit’s technology systems and platforms throughout its companywide operations. Beginning in 2011, Jake led Kiewit’s design and implementation of a global enterprise resource planning (ERP) system, the company’s first foray into centralizing all technology solutions across its many businesses and entities. He was instrumental in identifying and leading ongoing efforts to build innovative technologies used daily in the field to improve Kiewit’s project planning, estimating, scheduling and more, driving significant savings and efficiencies within operational and functional groups. Before his role as the head of KTG, Jake led, sponsored and managed many Kiewit projects in the U.S., holding key sponsor, estimating, engineering, construction manager, project manager and area manager roles. Beginning in 1999, this expertise helped Jake gain a deep understanding of the nuances and needs of the construction and engineering spaces, which has served him well as a technology executive. Jake holds a bachelor’s degree in civil engineering from the University of Arizona.